Following the receipt of instructions, the client shall receive offers from property lessors who were not previously known to the latter. Where the substance of the offers concerned is already known to the client, the latter shall submit immediate notification to this effect, indicating the source of the information concerned. Otherwise, the entitlement to the booking feee shall remain in force. Offers shall be based upon information submitted to the agency EXBERLINER FLAT RENTALS (Iomauna Media GmbH) by the lessors. Consequently, although every care is taken to ensure the accuracy and completeness of this information, no liability can be accepted in respect thereof. For the procurement of a flat for a rental period ranging from a minimum of two months to twelve months, the booking fee shall be calculated according to the scale below. For rental periods in excess of twelve months, and in the case of rental agreements concluded for an indefinite period, the booking fee shall be 1.5 months' rent. The basis for the calculation of the booking fee shall be the agreed overall rental charge, unless incidental costs are indicated separately. The booking fee can never be less than € 50.00. The client shall undertake to treat as confidential all offers submitted by the agency EXBERLINER FLAT RENTALS, and shall not disclose said offers to third parties. In case of infringements, a contractual penalty to the amount of 10% of the agreed booking fee shall be payable, up to a maximum of € 25.00. Should a tenancy agreement be concluded further to the unauthorised disclosure of an offer, the client shall be liable for the full amount of the booking fee. In case of failure to complete the prompt payment of the bookig fee, a late fee of € 10.00 shall be payable in respect of each reminder. Late fees shall not include any relevant bank fees (e.g. due to a failed credit card payment). Before concluding a rental agreement arranged by EXBERLINER FLAT RENTALS (Iomauna Media GmbH), the client must complete a reservation form including desired location of the flat, length of stay, the rental price. Any breakdown of contractual negotiations with the lessor shall also be notified to EXBERLINER FLAT RENTALS within 48 hours. The client shall undertake to submit a copy of the rental agreement made with the lessor to the EXBERLINER FLAT RENTALS within five days of the conclusion thereof. In case of failure to comply with this time limit, the booking fee shall be determined on the basis of the information provided in the reservation form. The early termination of the tenancy agreement shall not constitute grounds for any claim against EXBERLINER FLAT RENTALS or Iomauna Media GmbH. The entitlement to the full booking fee due under the terms of the rental agreement as originally concluded shall not be affected by such early termination. 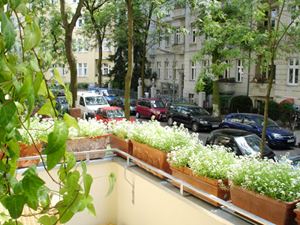 For the purposes of the calculation of the booking fee, any reduction in the rental period shall be subject to the agreement of the EXBERLINER FLAT RENTALS to a reduced rental period prior to the receipt of the offer concerned. 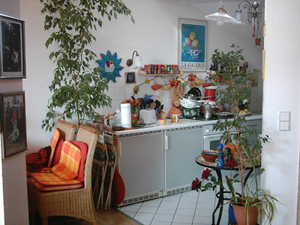 In case of an extension of the rental period, the client should immediately notify EXBERLINER FLAT RENTALS, and shall undertake to settle the resulting difference in the booking fee. The present contract shall be valid for a term of one year, and may be subject to termination by either party at any time, subject to the provision of notice to this effect. Should the client secure a property for rental by other means, without the involvement of EXBERLINER FLAT RENTALS, they shall submit immediate written notification to this effect. In this case, the source of the contract concluded shall be indicated. Neither EXBERLINER FLAT RENTALS nor Iomauna Media GmbH shall accept liability for any damages, excepting those arising from gross negligence or wilful breach of contract on the part of EXBERLINER FLAT RENTALS or their agents. Amendments or additions shall be in writing. The legal invalidity of individual contractual terms shall not affect the validity of the remaining provisions. Where invalidity stems from the definition of time or services provided, the terms in question shall be replaced by a legally permissible measure. In accordance with authorisation to this effect, the place of jurisdiction and the place of performance shall be the site of the registered office in Berlin. 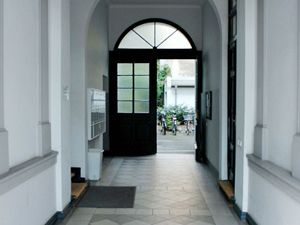 In the event of a dispute the relevant district court shall be the district court of Mitte. By the signature thereof, the client hereby acknowledges the present Term and Conditions, and confirms their receipt of a copy of the present agreement.